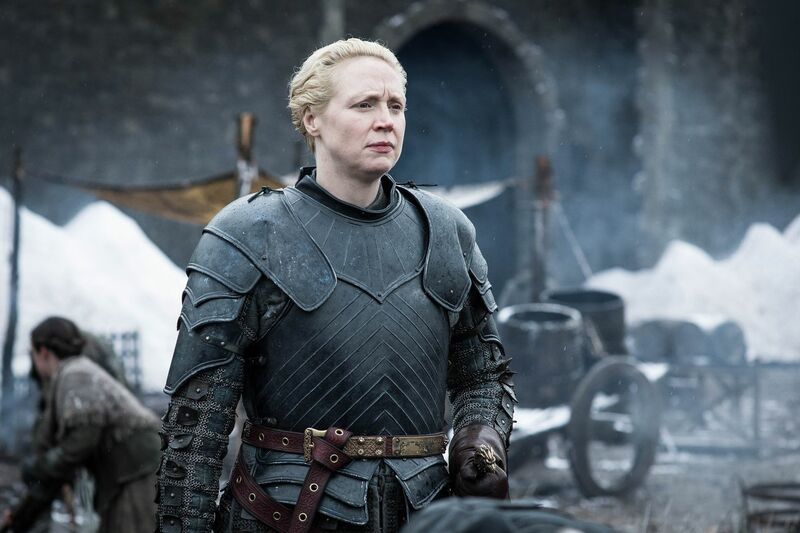 Gwendoline Christie plays Brienne of Tarth on "Game of Thrones." Ready to watch Game of Thrones this weekend? Check. Got your medieval, winterized costume ready? Check. This year’s IRS agent impersonator will claim to be your taxpayer ‘advocate.’ Here’s how to deal with it. Filed your taxes? Not so much. Just in time for April 15, a Philadelphia tax accounting firm has put together a GOT-inspired “tax warriors” video featuring its employees (clad in togas, rain ponchos, hubcaps for shields, and a backdrop of Fairmount Park filling in for Westeros) waging fierce battles .... against the dreaded Tax Man. In advance of HBO’s final-season premiere Sunday, Philly accountants Drucker & Scaccetti launched an offensive to slay the scary monster known as the government tax collector, a Faceless Man who’s draped in black and hoarding our collective gold. “All our employees took part in the video, like they do every year,” said firm founder and partner Jane Scaccetti. “The Tax Man was the only one who doesn’t work for us. He was with the production company and is, like, 6 foot 6, plus he stood on a step stool,” she said. “Besides, no one wanted to play him." To attract and keep talent -- particularly millennials coming out of local accounting degree programs -- the tax accounting firm creates videos as a way to “blow off steam for our hard workers, particularly at this time of year,” just before April 15 filing deadline, she said. Coincidentally, April 15 is Scaccetti’s birthday. “Months before they filmed the GOT battle -- “nope, it’s not Northern Ireland, it’s north of Lemon Hill and south of the reservoir,” said Scaccetti -- the 97-member firm decided the hit show would be their theme. In 2017, D&S did an Eagles video to celebrate the football team’s historic Super Bowl season. Plus, “we wanted to bring our tax warrior mantra to life,” said Eric Elmore, marketing manager with D&S. What’s the D&S Tax Warrior mantra all about? Plus, he said, “most of our staff here are addicted to the show." For The Inquirer’s tax tips, visit our coverage of the exceedingly complex 2018-2019 filing season.